I'm updating this thread to reflect a few observations that I've made regarding the servo dampers. 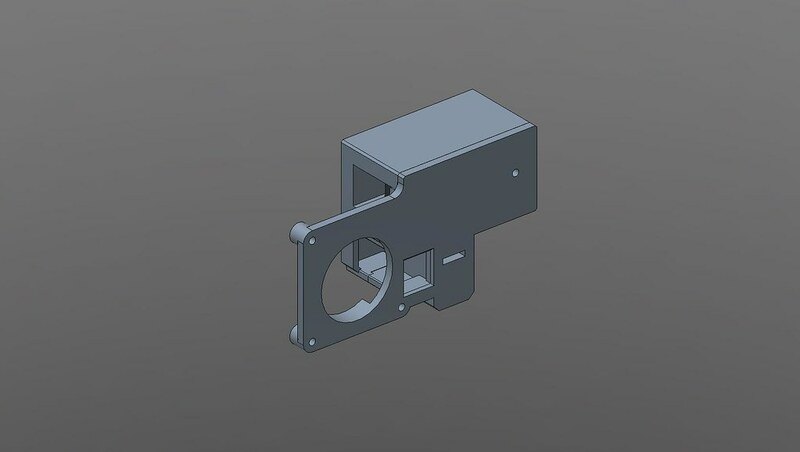 The barrel servo has worked well for me, but in the last few months I have found that the rotary valve design is much easier to print and probably works even better. 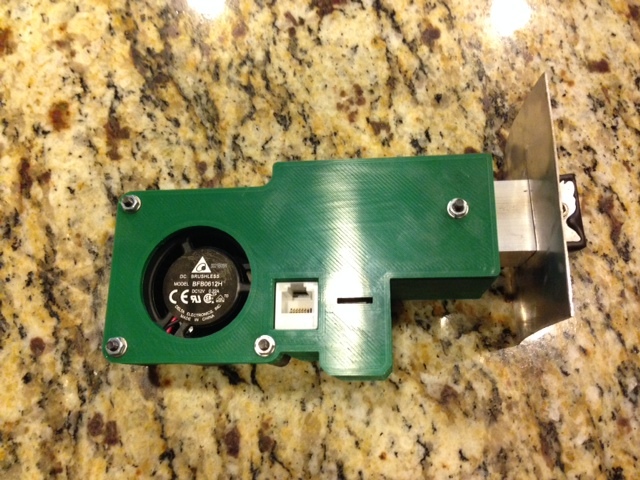 I will leave the barrel servo information up but am also including the source files and pictures of my rotary designs. There is an offset and in-line version. It prints in 3 pieces without any supports. 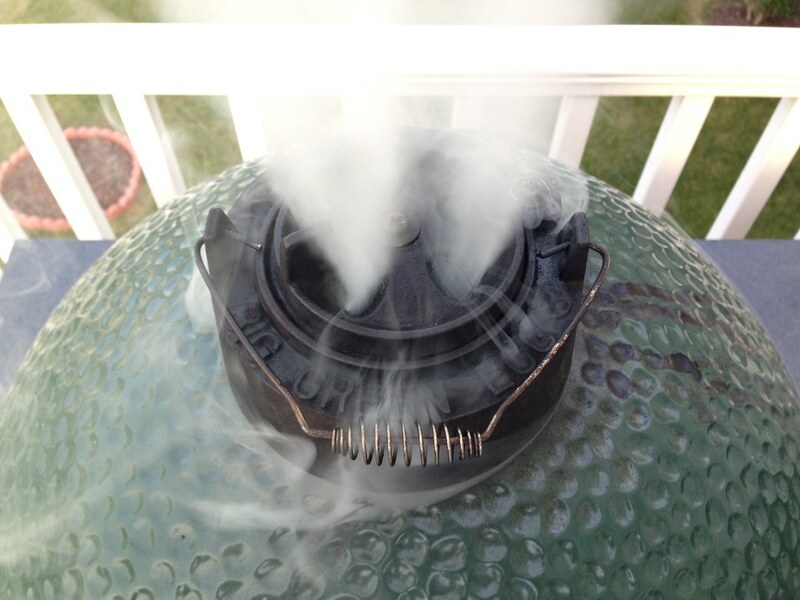 The cover piece pops on and can be secured along with the rest of the unit to the 2" x 1" square tube that attaches to the smoker. The cover doesn't actually play any role in sealing the air ducts, it's just there to keep water out of the electrical/mechanical chamber. Here is the graph of my torture test. 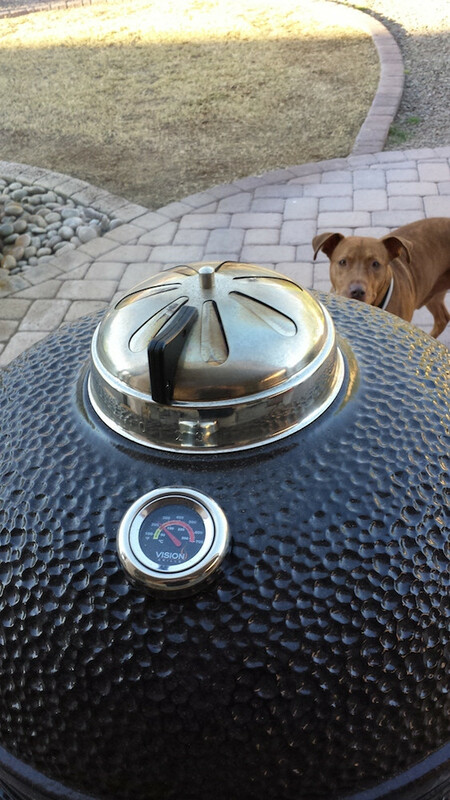 Bear in mind that there is no food on the smoker which could alter the response times. 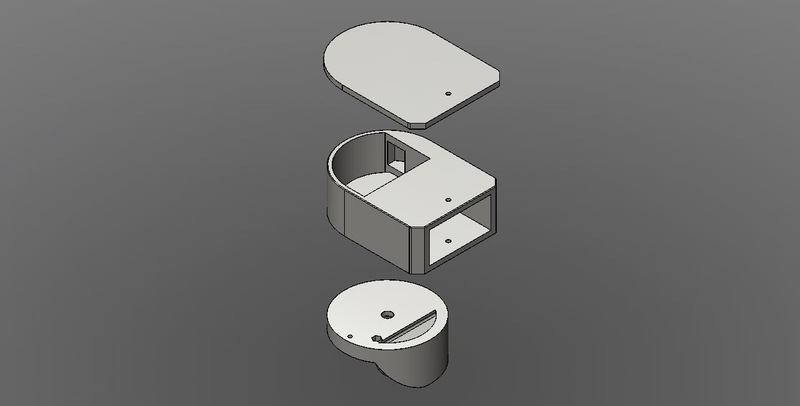 Anyone with access to a 3D printer that wants to try it, here are the files. 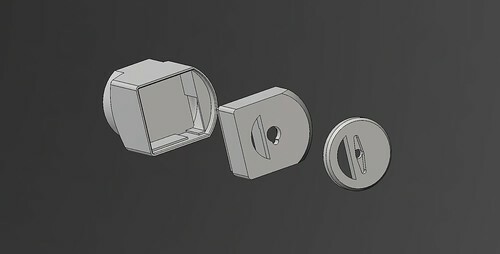 The raw files were created in Inventor fusion and I also put up the corrected .stl files. I couldn't find it's 2-wire version so I just cut off the tach wire. 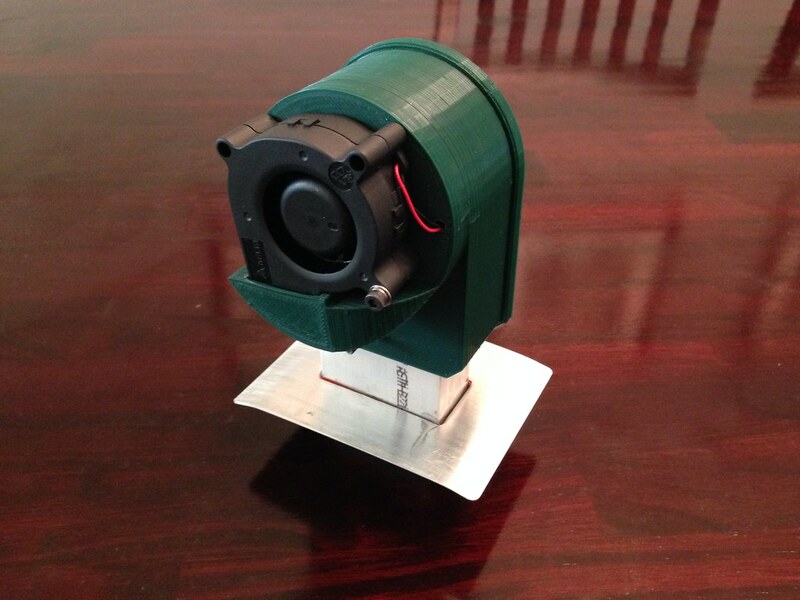 I'm starting a new thread for my new 3d printed barrel servo/fan combo instead of hijacking the 3d print thread. It is designed for the standard blower listed in the heatermeter BOM and the servo's used by D Peart in his original design. A homedepot TECH brand RJ11 jack for 6-conductor wire is incorporated to carry fan and servo control over a single wire. 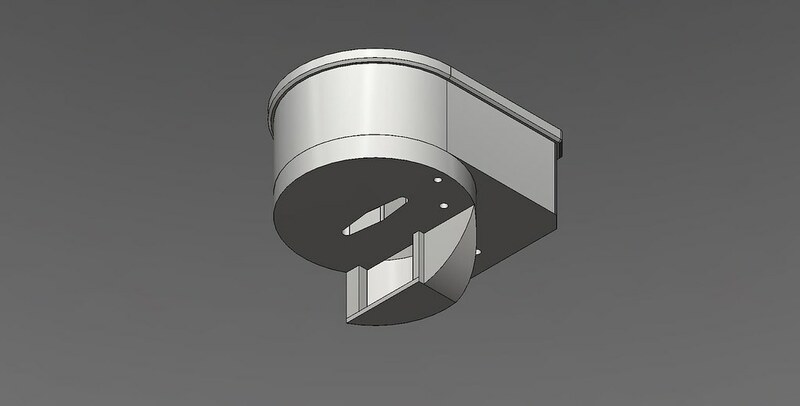 It is designed to mount onto 1" square tubing. All screw holes are designed for M3 hardware. 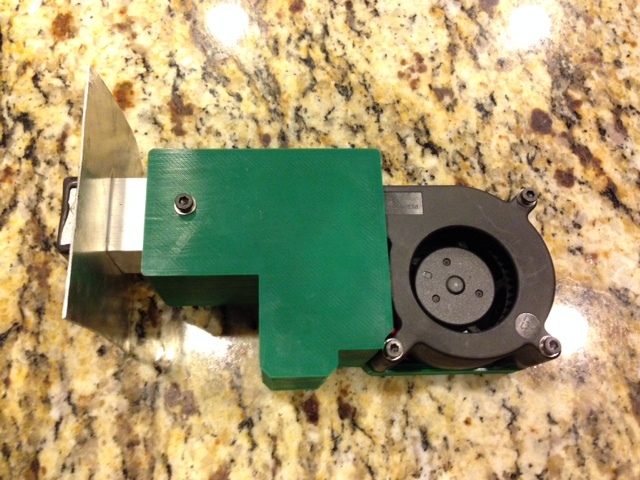 As of version 2, I started using MG90s servos for better torque and durability. You can find them here, or ebay. They are slightly different in size than the SG90s so I have two different designs. If you don't have any servos yet, I'd go with the MG90s. Version 2 will be the last version to support SG90s. I tweaked the barrel cover so that the barrel and electronics are completely covered and created a conduit for the fan wires to travel to the rj11 jack. Here is a video demonstrating it's capabilities. It starts with the fan on 100%/servo valve open, then goes to fan off/servo valve closed, then back to fan on 100%/servo valve open, and finally to fan on 100%/servo valve closed. 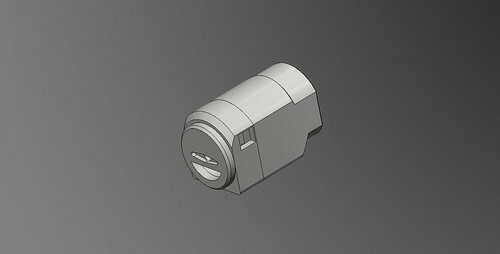 The .stls are already repaired via netfabb. 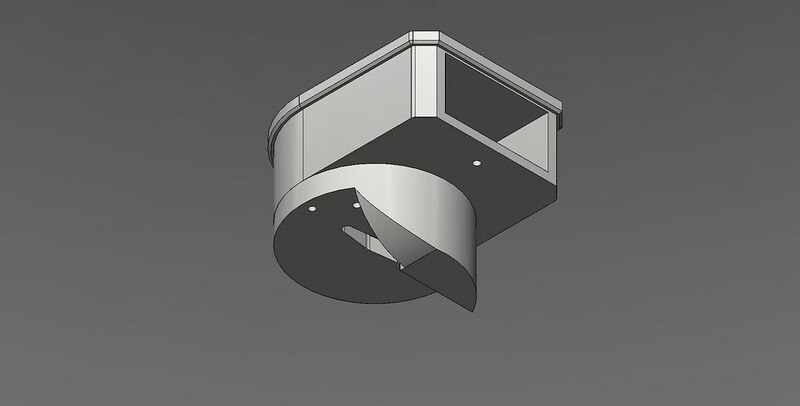 I suggest using the support feature in slic3r for printing the cylinder. Supplies: aluminum sheet (I forget the exact gauge but is should be fairly bendable to conform to the curvature of the smoker), 1" square aluminum tubing (barrel damper) or 1" X 2" aluminum tubing (rotary damper), a 1" chisel, hammer, metal snips, JB weld or high temp silicone, and a drill with 1/8" drill bit. 3. Use chisel to pierce through metal along the borders of the "H"
5. For the barrel damper, insert a 2" piece of 1" square aluminum tube through the square hole until the edges line up with the end of the tabs. For the rorary damper, insert a 3" piece of 1" X 2" aluminum tube through the square hole until the edges line up with the end of the tabs. Last edited by Tom Kole; 11-07-2015 at 02:28 PM. Last edited by Tom Kole; 07-27-2014 at 05:08 AM. First trial run using version 1 mount on a 2 inch piece of 1" square aluminum tubing. 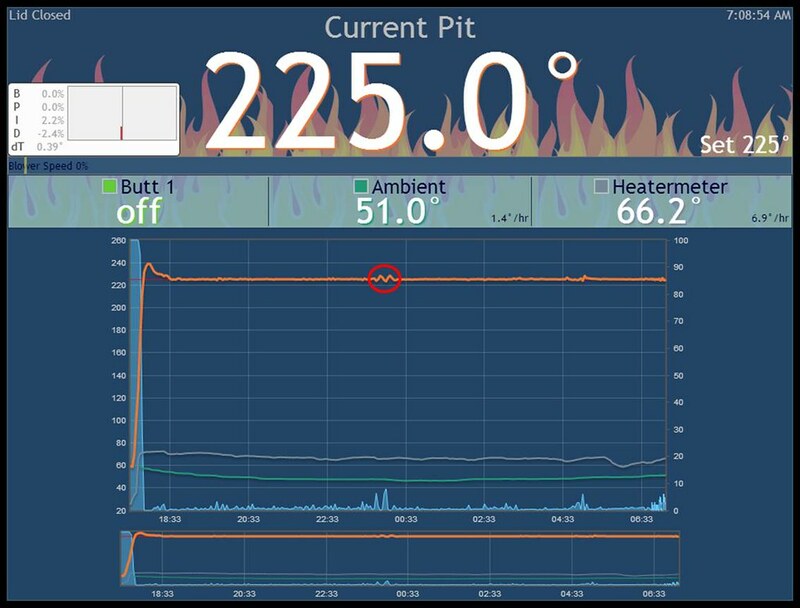 The PID settings are unchanged from my Auber setup. 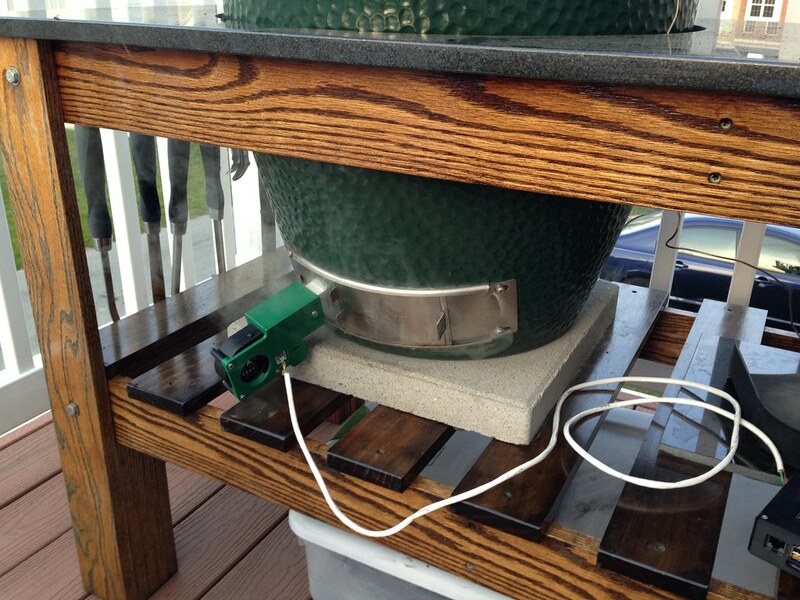 Here is a pic of the mount and barrel servo in BGE color. There is JB weld on the inside of the mount to seal around the edges. By setting the heatermeter this way, the fan only kicks in if the blower reaches >= 10%, but the servo is full open at any value greater than 0. 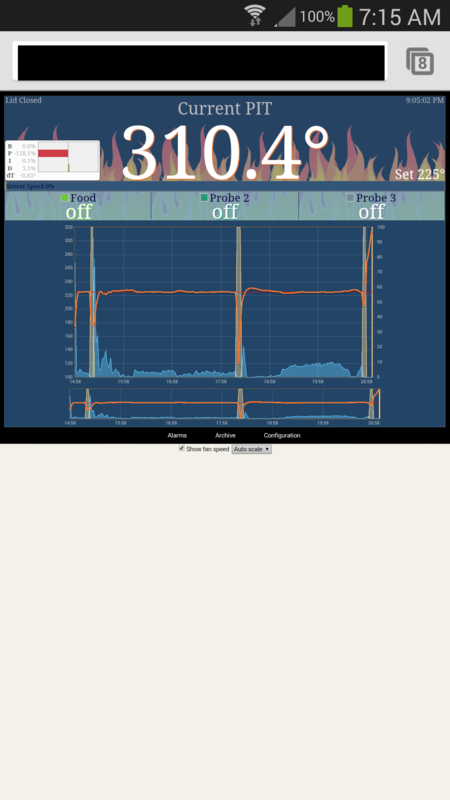 You can see that after the initial rise to temp, the fan has not kicked in at all and the servo has been able to hold the set point very tightly just by going on/off. 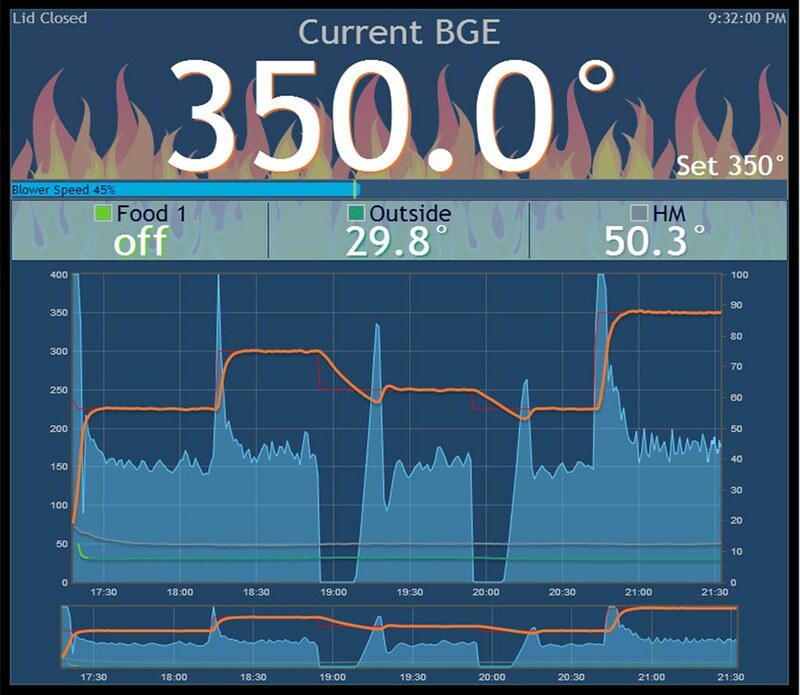 The bonus is that if the system gets overwhelmed at some point and needs a little extra oxygen, it can call on the fan and still do so in a controlled manner without the fan coming on at 100%. You can also leave this setting to control higher temp cooks as well with only a set point adjustment. Last edited by Tom Kole; 11-04-2013 at 07:38 PM. Thanks. I knew I forgot something. I linked the files in the first post. Tom, your 1" square tubing on your egg....did you fabricate that or buy it somewhere? Fabricated from aluminum tubing and thin aluminum sheet purchased from home depot. It's basically a 77 x 74 mm rectangle with an "H" pattern that I cut into the middle of it. The "H" is made so that you have two 1/2" pieces of the aluminum sheet that you bang out into right angles. You then slide the piece of tubing over them, drill a 3 mm hole right through, and then bolt on. I'm using JB weld around the perimeter to create an airtight seal. It's not the fanciest design, but it's simple and should work. I'm using my CNC mill for the cutouts because I have one, but a pair of snips and a sharp 1" wide chisel should work perfectly. 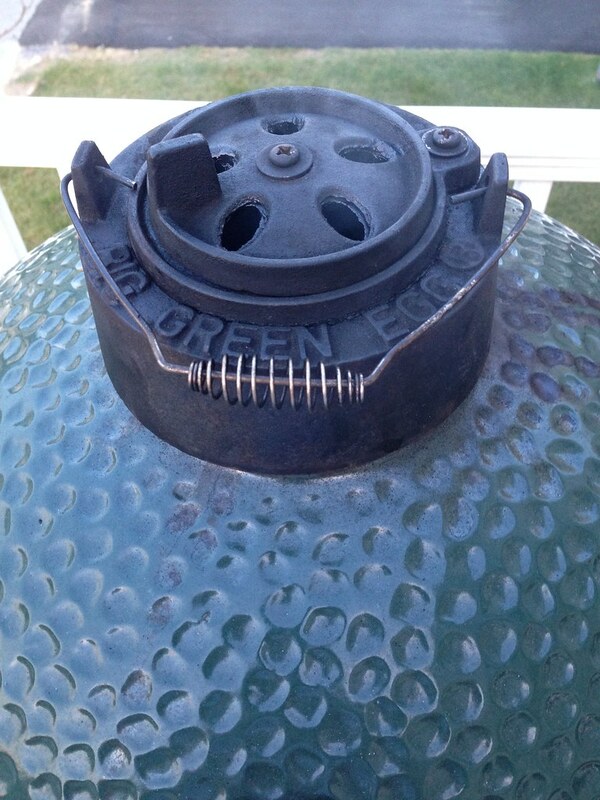 It fits into the vent guide of the BGE and then you just close the vent to hold it in place. I just copied the idea from the Auber fan mount. If you know how to weld (need to learn this) you can make something much better, or if you could find the parts in copper, you could solder them together much like Ralph has demonstrated in some of his designs. Last edited by Tom Kole; 09-18-2013 at 06:43 AM. I want to put it through some real world tests before doing that. 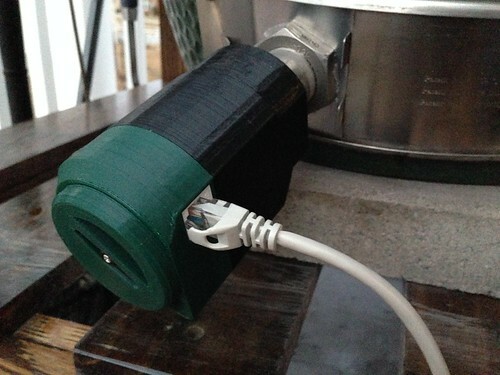 If all the 3d print guys try it out, we should get some good data using different smokers.